Summer is in full swing! It is the time of playing outside, gardening, camping, and barbecuing. The extra hours of sunlight make social gatherings that much more fun, but unfortunately some uninvited guests like to join the party, too. What are these pesky guests? Bugs. There are good reasons to repel things like mosquitoes and ticks — the former can transmit West Nile Virus and the latter can carry Lyme disease. When I grew up, my mother always bought bug repellent from the store, but I hated it for the nasty smell and the chemicals that lingered in my nose. Most commercial bug repellents contain DEET (N,N-Diethyl-meta-toluamide), a chemical originally created by the United States Army after their experiences in the jungles during World War II. It was tested first as a pesticide on farm fields, then used by the troops, and finally sold commercially in 1957. Just the fact that DEET was first tested as a pesticide on farm fields should tell you that it is not something you want on your body. The U.S. Environmental Protection Agency (EPA) advises caution when using products containing DEET, saying to apply only to exposed skin and/or clothing. Once indoors again, they recommend washing skin with soap and water, and advise against applying repellents to children's hands since they often touch their mouths and eyes. It makes you think, doesn't it? DEET has also been known to be an effective solvent which may dissolve some plastics and synthetic fabrics. 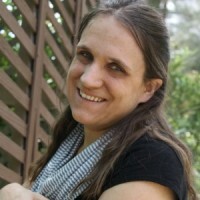 There have been some cases of recorded death, seizures, slurred speech, coma and other serious side effects. It's best to just stay away from DEET altogether. But what should we do instead? I am so happy we have an amazing God who created plants that naturally deter bugs! I have started making my own bug spray. I use essential oils since they are easy, effective, and ready for use immediately — unlike herbs, which need a few weeks to steep. 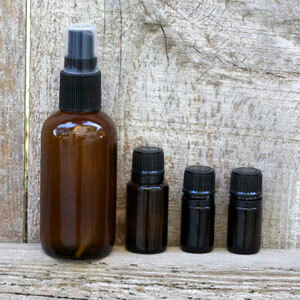 Making your own bug spray is a breeze when you use essential oils. You need a dark glass spray bottle, essential oils, witch hazel, and distilled water — and that's it! Here are a few bug-repelling essential oils. 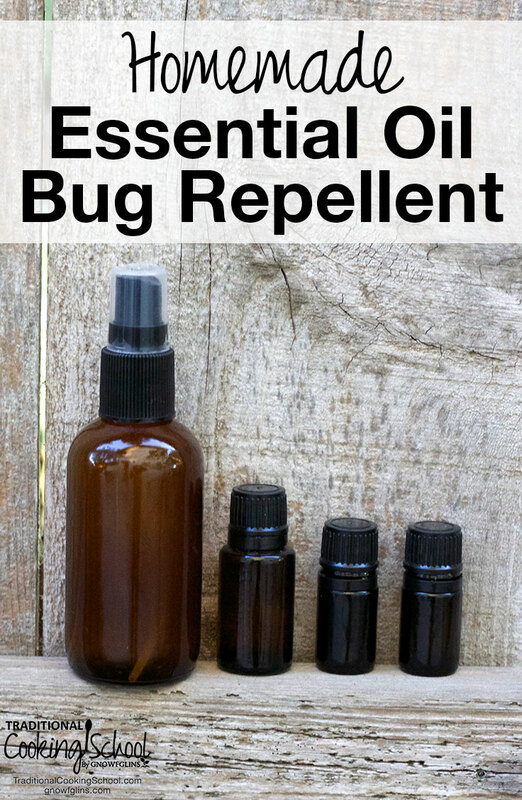 Making your own bug spray is a breeze when you use essential oils. You need a dark glass spray bottle, essential oils, witch hazel, and distilled water — and that’s it! Then pour in the witch hazel and water. Have you used a natural bug repellent before? What oils did you choose? How did it work? What will happen if I don’t use a spray bottle that is glass? Or dark? I do have a dark blue spray bottle, but it is plastic. do not use plastic because of the oils leaching chemicals from the plastic. Erika is correct, the oils will release chemical from the plastic. Overtime they would cause the bottle to weaken. I bought mine from Mountain Rose Herbs, I’m sure that Amazon has then as well. This is a very late reply but don’t buy doTERRA oils on Amazon. They is are not pure. Buy only from an authorized seller. (I am not one). myoilbusiness.com has many bottle choices. We have a pond and so we deal with mosquitoes quite often in the summer. Thanks for sharing your recipe! We’ll look forward to giving it a try. We have several of the oils listed and have found that peppermint is great for keeping flies at bay! I just bought some of this before seeing your post. I used it over the weekend, it worked GREAT! Mixed it with witch hazel and sprayed it on, it smelled to the whole family like Fruit Loops. when we didn’t spray it, we got eaten alive with bugs.. When we were dilligant about spraying it before we went hiking, we did not get any bites at all! Just wanted to share what I had used, wish I had seen your post first! I’m glad it worked for you, there’s always next time to try it! Sometime you have to do what you have to do. I hope this repellent will help! I buy and sell doTERRA. There are other companies such as Young Living that are good as well. You could also check out Mountain Rose Herbs. Will this work on animals? Specifically horses and cattle. They are really bothered by flys! It should but it is important to research each individual essential oil to check for animal safety. I would like to know if you pour the entire contents of all of these bottles in together? the recipe calls for 30 drops total. So if you had 3 different oils you could use 10 drops each, or 2 oils and 15 drops each.then mix with the othe ingredients, witch hazel and water. Hi Jan, I’m sorry I missed your question. You measure the water/oil and witch hazel before pouring into the bottle. Then you add the drops of the essential oils that you chose directly to the bottle. Does that make sense? I can’t use witch hazel. Is there something else I can use in the place of it? You can add fractionated coconut oil. You can use vegetable glycerin… the oils will blend better into glycerin than witch hazel as well. You can completely leave it out, just be sure to shake up the oil + water mixture before each use, just before spraying. could you use fractionated coconut oil and make a roll on? would you still need the witchhazel? I would leave the witch hazel out. That’s actually next on my list to make! That way it’s easy to apply to the face and ears. I’ve been using Plant Therapy’s Insect Shield and adding Cypress oil. 20 drops of insect shield and 10 of cypress added to a 2 oz cobalt spray bottle and topped with witch hazel. I cannot believe how well this works. Repels skeeters and biting flies! Can you use Kangen water instead of distilled water? It is ionized water with all toxins removed. I am so sorry I missed this! I would be fine. Are there some essential oils that work better than others? My all time favourite will always be lavender. Essential oils affect each person differently, for example I don’t use lemongrass because I’m allergic to it. I made a great bug spray last year and I am getting ready to make a new batch this year. I use 1/2 water and 1/2 cheap vodka as my base. The alcohol dries quickly but leaves the oils behind to do their work. The water helps to dilute the vodka. Just be careful around your face. I usually just spray on my hands and then rub my face. Also The Vitamin Shoppe carries a great selection of blue glass spray and roller bottles. Which 3 oils do you usually use? Currently, my bottle has geranium, lavender, and tea tree. I mixed it up and use different combinations though. Do I use 10 drops if I have 3 oils? If you have 3 oils you would use 10 drops of each. Hi, curious to know what would be the shelf life of this repellant. Since water and oils don’t mix well, would it turn rancid very fast. Do you recommend using only fractionated oil in that case.